Taurodontism was hitherto considered to be a marker of oro-facial disorders. Since then, it has been reported with a moderately high-to-high prevalence on panoramic radiographs in case series of otherwise normal individuals a number of Middle Eastern and East Asian communities. This now understood higher than-formerly expected prevalence is important to the endodontist, orthodontist and restorative dentist. Therefore, the oral and maxillofacial radiologists should be aware of this phenomenon and its measurements to better advise their clinical colleagues. American Dental Association (Council on Scientific Affairs), U.S. Department of Health and Human Services (Public Health Service; Food and Drug Administration). 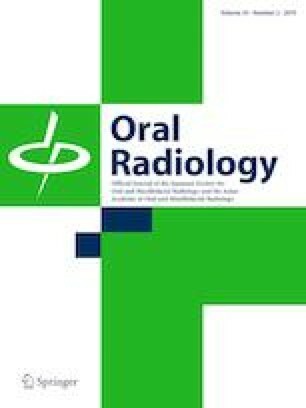 Dental radiographic examinations: recommendation for patient selection and limiting radiation exposure. Revised 2012. https://www.ada.org/~/media/ADA/Member%20Center/FIles/Dental_Radiographic_Examinations_2012.pdf. Last Accessed 22 Jan 2019.